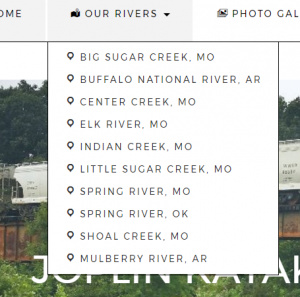 When creating JoplinKayak.com, I wanted to make it easy for floaters to get on the river and find new spots to kayak. This is why I embedded the advanced map system with access points and other interesting points on each river. Yes, you can search the internet and find maps to print out and books with maps in them. 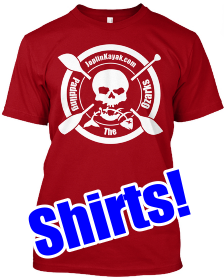 However, I wanted to keep it simple for everyone to get on the river faster to enjoy your day. So one of the coolest features that I find rarely used, is the driving directions ability that is built into the mapping system. Here, I am going to give you a step by step tutorial on how to use this amazing feature to save you time and help you find that exact access you didn’t even know existed. First let’s start with the mobile devices. I had these in mind when setting up the maps. 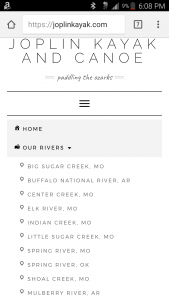 First on your mobile device select “Our Rivers” from the top menu. Scroll down until you find the river you would like to float. 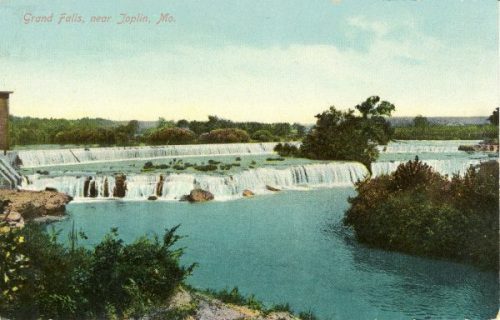 Click on the river’s name to open it’s corresponding page. 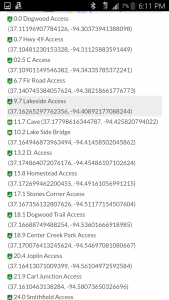 Once the page for the river you selected has loaded, scroll down to the list of markers below the map, or the marker icons on the map. 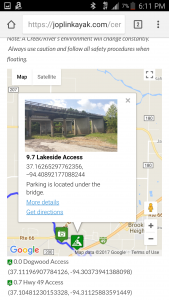 When you click on a mark from the list or on the map, the page will recenter to that marker on the map. A pop up will appear with more information on the marker you selected. Click Get directions on the pop up window. Your default map app will launch and you should be ready to go! Now for the desktop version. 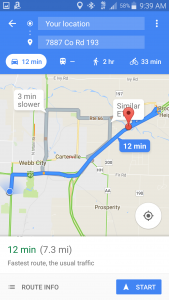 You have the ability to create turn by turn directions from an address you enter. First select “Our Rivers” from the top menu. Scroll down until you find the river you would like to float. Click on the river’s name to open it’s corresponding page. 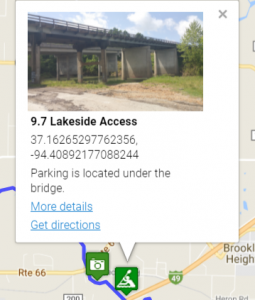 Once the page for the river you selected has loaded, you can scroll down to the list of markers below the map or the marker icons on the map. When you click on a marker from the list or the map, the page will recenter to that marker on the map. A pop up will appear with more information on the marker you selected. It will open a small forum asking for your starting location. 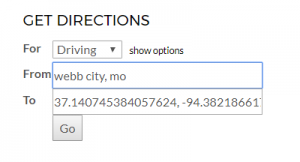 Once you enter your location, or starting address, click “Go”. 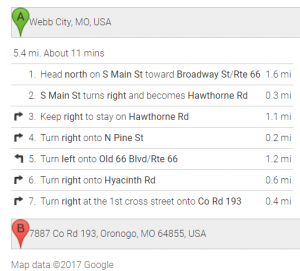 It will load the turn by turn directions on the page where you can print them out for your trip. There you have it! A simple to use and very handy feature. If you have any questions, please leave a comment below.